Samsung has rolled out an update to its ‘Always on Display’ app on the Galaxy S8, S8 Plus, and Note 8 flagships from last year and it brings, er, a weird feature to the phones. 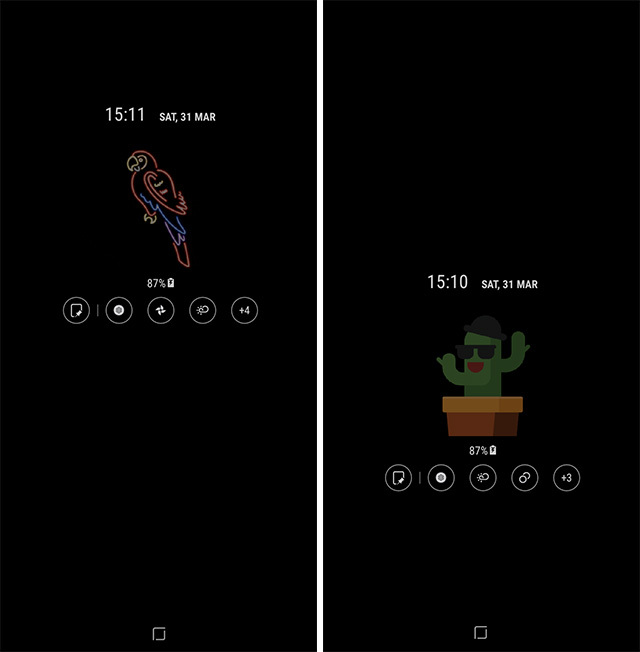 Samsung’s flagships from last year will now support GIFs on their Always on Displays. In full color and everything. What I don’t get, is why is something like that a feature? The Always on Display on Samsung phones is quite possibly one of the most useful things, according to what Samsung users in our team have been telling me. They love the ability to quickly look at their phones and check the time, check new notifications, or, in the case of the Note 8, check pinned notes. Since it’s an AMOLED display, it doesn’t even devour battery like phones with LCD panels would, but adding GIF support to this is honestly kind of silly and something that I can’t see being, in any way, a useful feature at all. What makes the Always on Display amazing is the fact that it’s just a few pixels lighting up to form important information, letting the other pixels stay off and conserve battery. With GIFs, not only are more pixels going to light up on the AOD, they’ll have change colors according to the animation on the GIF, and lighting up a larger area in colored pixels will definitely have an adverse effect on battery life. So, Samsung apparently thought of the battery implications of this thing, and as far as I’ve noticed, GIFs pinned to the AOD animate for two loops and then stay tacked on like plain old images, until you double tap on them. So, yeah, it probably saves quite a lot of battery that way, but it also becomes a boring old image until you tap on it. Obviously, some users might be really happy to have the ability to not only pin images to the Always on Display but also GIFs. However, I’m pretty sure that no matter how great the idea seems now, and even if my concerns about battery life are proven wrong going forward, this GIF feature will definitely fade away as a novelty, just like a lot of features from smartphone manufacturers that make little to no sense.